The Mario Party series has always been one that’s split gamers right down the middle, all the way back to its Nintendo 64 origins. There are those who enjoy their silly and unpredictable nature, where luck can often play a sneaky hand in determining the victors and losers. And then, there are those that hate it for those very same reasons. I’ve personally always been found myself in the former camp – appreciative of their erratic nature and always enjoyed with friends and family alike. 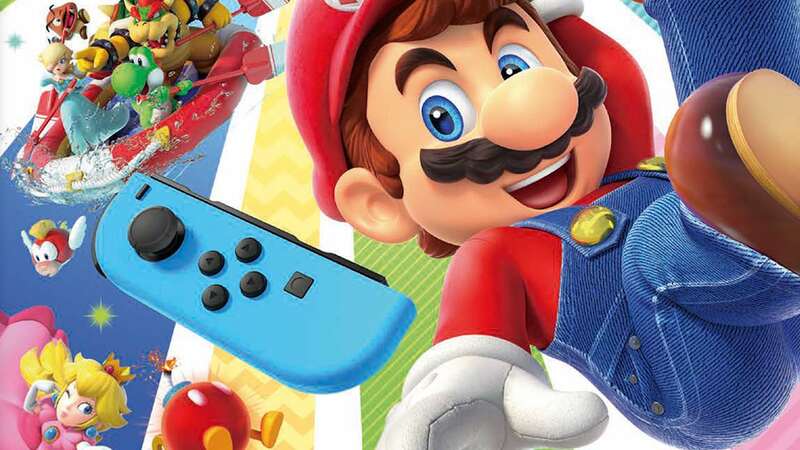 Super Mario Party made its surprise debut at E3 2018 just a few months ago and with it, footage hinting at a return to the original formula – players travelling around the board individually as opposed to all together in one vehicle – a long-requested change that fans have been clamouring for many years now. While I didn’t get to try out any of Super Mario Party’s boards or the newly announced River Survival Mode, I did get to sample five of its mini-games in the Mariothon mode where most of the characters were available to choose (although rather disappointingly Diddy Kong was locked away). Before we get onto the mini-games themselves though, what exactly is this mode? In Mariothon mode, you and three others compete in a series of five mini-games, your finishing time within each then equated to points. The player with the highest total at the end of the five events is then declared the winner. It’s worth noting the mini-games aren’t random, instead you’ll be faced with a pre-set line-up based on the cup that you pick. The demo’s menu included four cups, however only one was available to try – Toad’s. As for the mini-games themselves, they had our group laughing, shouting and trash talking throughout – all ingredients necessary for a Mario Party title. If we’re being perfectly honest then you could argue they’re essentially more of the same from the series, but then again would you really want much else? Of the five we found Sizzling Stakes to be a firm favourite, players using the Joy-Con as a handle of a wok and flipping it to cook a cuboid of meat on all sides using motion controls. It’s a neat use of the feature and made for some rather tense face-offs. Perhaps less successful in making use of motion controls, however, was Barreling Along, a game that involved moving the controller back, forth and side-to-side while balancing on a barrel and navigating a series of obstacles. It felt a little uninspired. Trike Harder meanwhile was a simple but hilarious race on tricycles where we had to make an almost pedalling motion with the Joy-Con on its side as fast as we could. Croozin’ for a Broozin’ and Gridiron Gauntlet relied on more traditional controls. The former saw us running away from a crowd of Broozers as they edged closer and closer. The path would often split into two, one placing blocks in the way to make life more difficult or even cheeky pipes where more Broozers could attack. The latter meanwhile positioned us on a football field within a five by five grid, Chargin’ Chucks dashing back and forth trying to take us out. As I said before, it’s all fairly standard stuff in the world of Mario Party. But for me, that’s totally fine. I had fun with the games for the most part and with another 75 to discover there’s sure to be plenty more to enjoy also. Of course, the longevity of the game lies with the modes available. While Mariothon is a cool idea perfect for short sessions (local or online I might add) it’s the board game side of things where the real meat of the overall package will surely lie. One last thing I’d like to add before I catch my plane home from Cologne is that this is a nice looking game. Real nice. Mario Party has never looked better in fact. And, even though my experience with Super Mario Party was brief, it was enough to get me excited for the game’s full launch come October. Super Mario Party releases exclusively for Nintendo Switch worldwide on October 5th.